Still finding sand in crevasses this morning as I leave Sand Dunes National Park, I head east to where I will pick up I25. 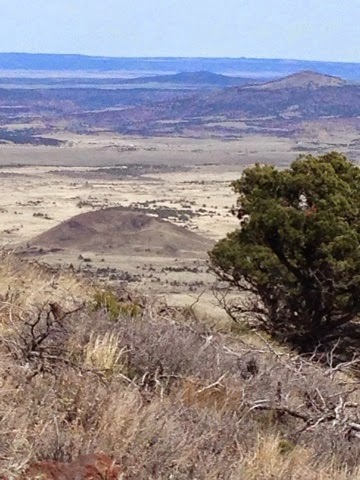 I climb the mountain pass that forms the east rim of the valley where the dunes and Alamosa, CO are. 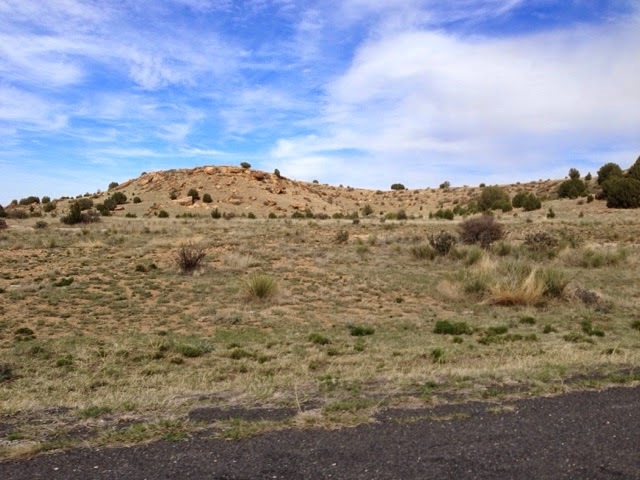 Heading south to New Mexico I stop on Trinidad, CO to visit McDonalds and take a break after a couple hours driving. I stay here for some time as I write the blog from the day before and grade my students class work. 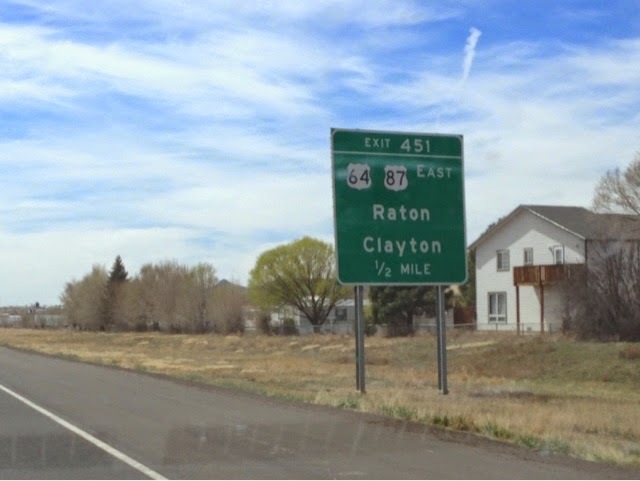 From Trinidad I head south to Raton, New Mexico to pick up and follow old US highways across central US. 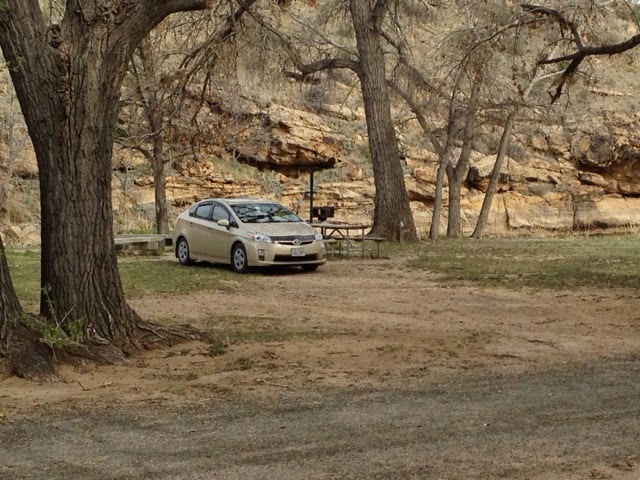 My travels will take me to a state park in the Oklahoma Panhandle for the night. 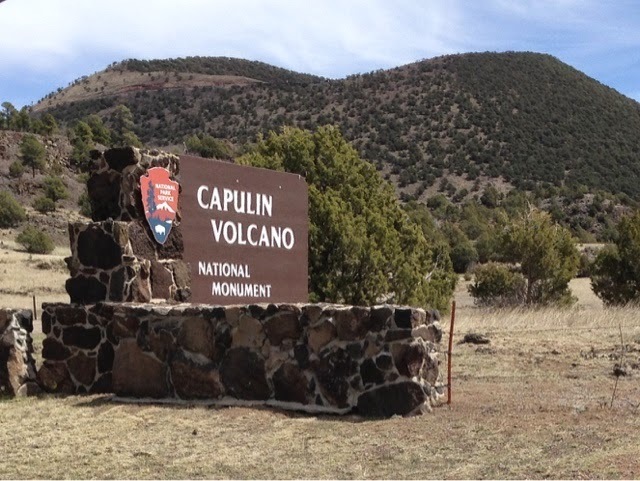 Heading east from Raton I see signs for Capulin Volcano National Monument. This wasn't on my radar as s place to visit. This is what is fun about driving off the Interstate. After a stop in the visitors center and showing my National Park Pass I take the circumventing road to the top. The elevation makes the views excellent and well worth the visit. You never know what you will find by turning into a new place. 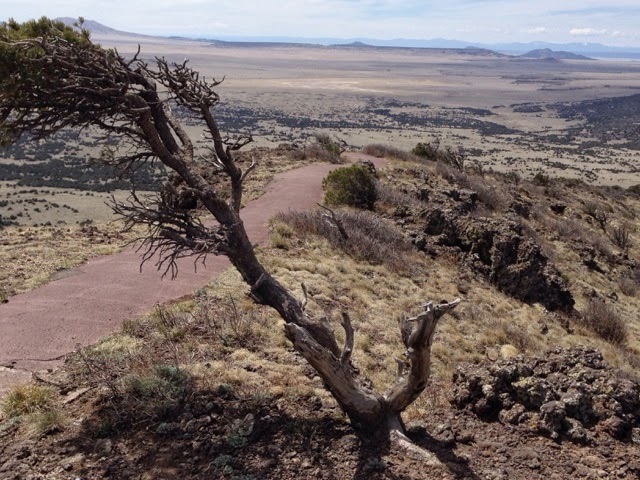 There is a hike around the rim of the 60,000 year old volcano that is about a mile and very steep in spots. 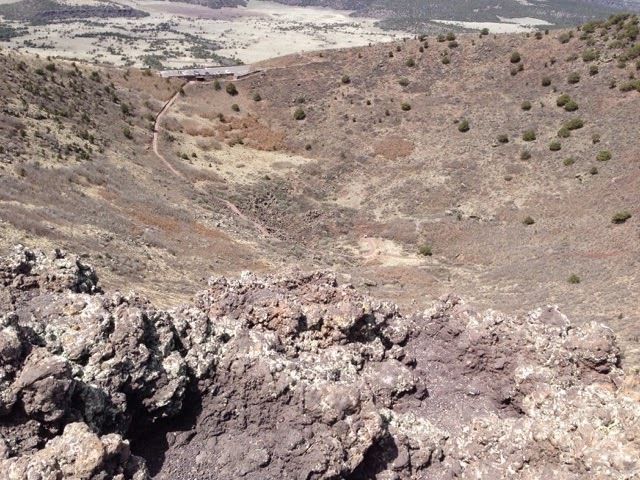 This is the view from the top of the volcano's rim looking into the crater and the parking at the top below. 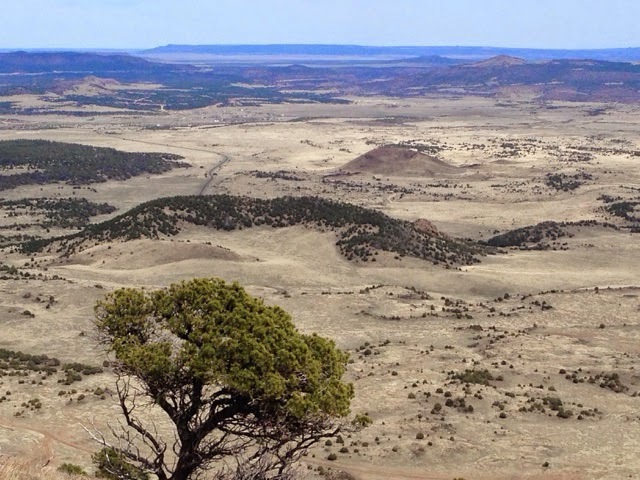 The views go on as far as the earth curves. I know I have passed many National Minuments like this for the National Parjs this year. 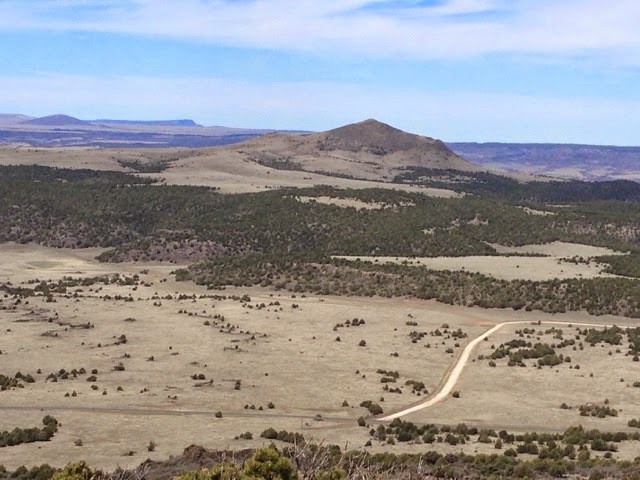 The visit to Aztec and Capulin National Monuments will give me something to check out on next year's travels. 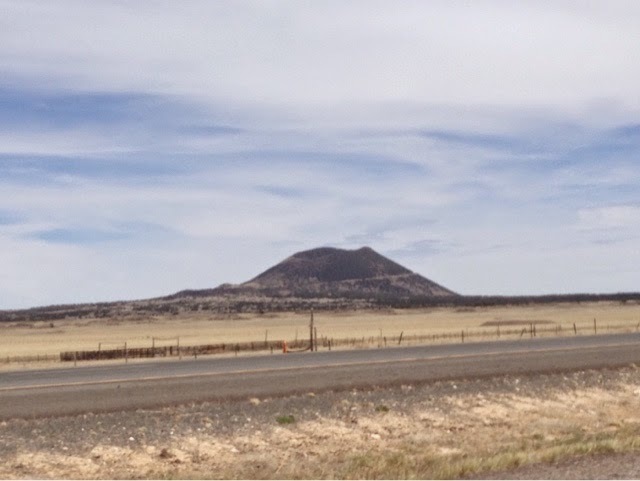 After my volcano visit it is time to look for the Black Mesa State Park in the northwest corner of the Oklahoma Panhandle to camp for the night. 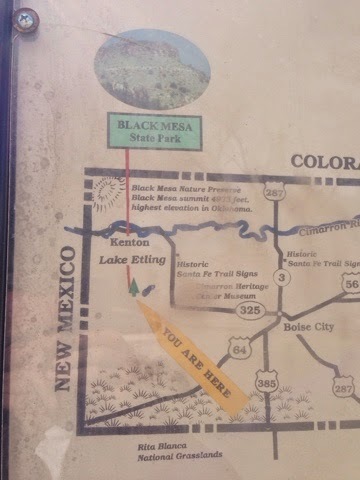 The yellow flag on the map points to where I stayed. I picked this campground in part as it is very rural and the bonus is it has showers. I haven't camper where there is a shower since I left Monterey, CA. Before you say something about not having a shower some of these campgrounds are National Parks that don't have showers. I have washing my body down to a science by now. I wash my hair and body everyday with hot water. I carry water and I can heat water on the stove or I can hear it with my 12 volt water heater. I have a wash basin and I can either wash in the car our outside. It is very doable. I shave this way too. So, I am very presentable when I travel. Since I was the only one at this beautiful campground campground at 4:00 pm I decided to travel the back roads and see the small towns. I have labeled it "The Land That Everyone Waves". Although not very populated, every, yes every car I passed they waved. This happens to a less degree in Northern Vermont where I have a camp. People are friendly and live in sparsely located farms and their sense of community is off the farm and here I am in a strange place with Massachusetts license plates being tested as the community. It's friendly and bring back memories of sitting with my grandparents on the front lawn of where I live waving at everyone that goes by. What happened to life where there was a connection with neighbors? Well it still exists in rural areas of the U.S. It feels good to get and give a wave to another. Yes that's a farm well off the road in the picture above. 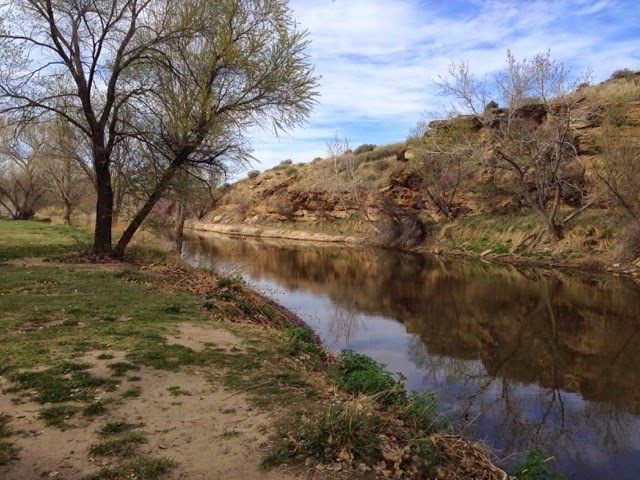 Back at the campground I am parked for the night next to this river. Simply a beautiful place to camp. No cell service and radio reception was bad so I got a lot of reading time in tonight. 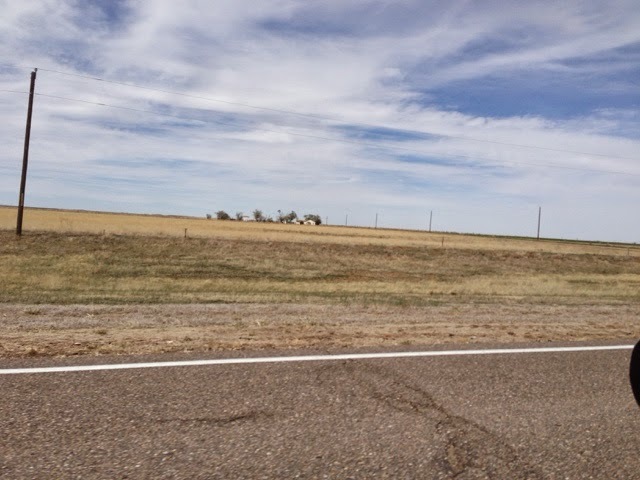 I'm am well off the beaten path and where the Santa Fe Trail crosses through the open land in the Oaklahoma Panhandle. 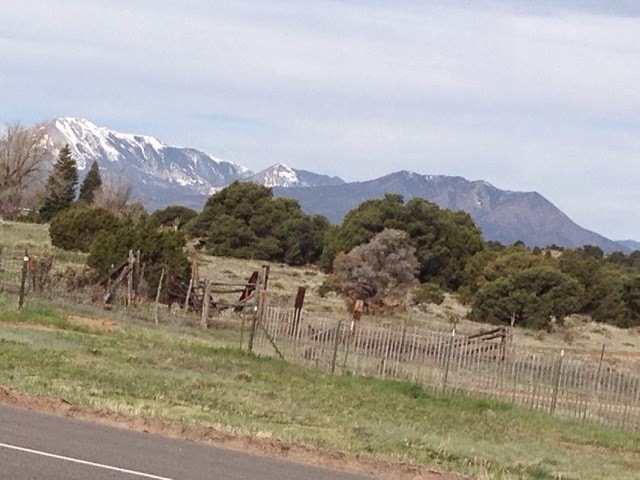 It brings back memories of the book I read in college "Along the Santa Fe Trail" by Marion Russell. 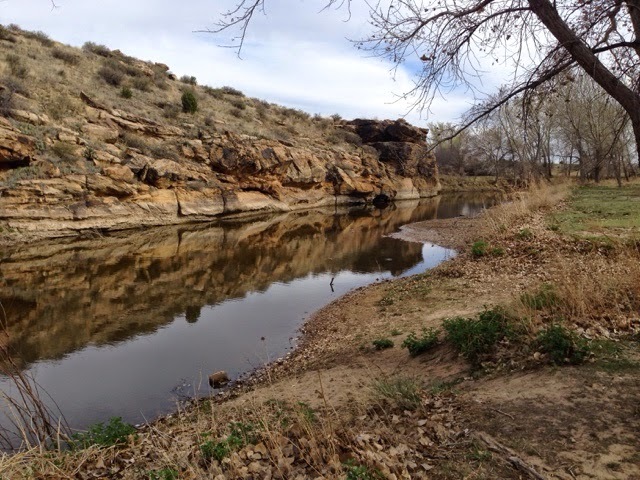 It is a very good read about her account sad the first woman to go along the Santa Fe Trail in 1852. Seeing the roadside marker I think of her trials and tribulations. Talk about not having showers.